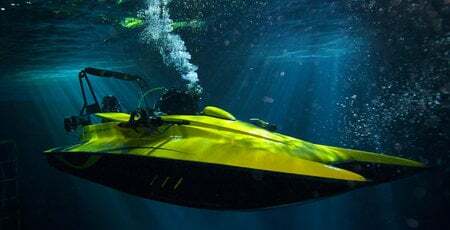 This watercraft looks nothing short of a movie prop straight from the upcoming Star Wars flick, especially if you look at it outside the water with its hydrofoils exposed and its futuristic instrument cluster. 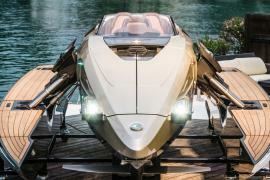 Dubbed Quadrofoil, this all-electric personal watercraft has been designed to be to a sports car for the water. 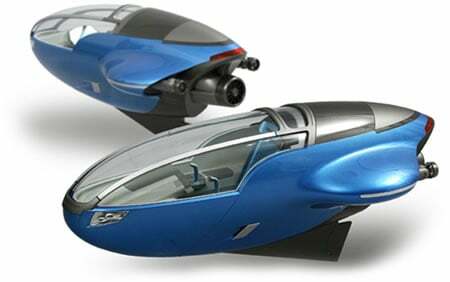 The Slovenian craft was first reported back in 2012 when it was still in its prototype phase. The production version is finally ready and ready for global pre-order. 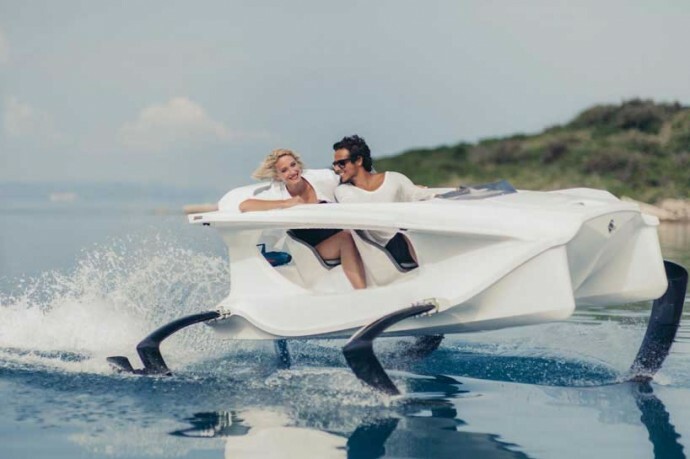 Unlike other personal watercrafts, the Quadrofoil produces marginal noise pollution, zero emissions, and creates only the tiniest of waves thanks to the electric motor and hydrofoils. 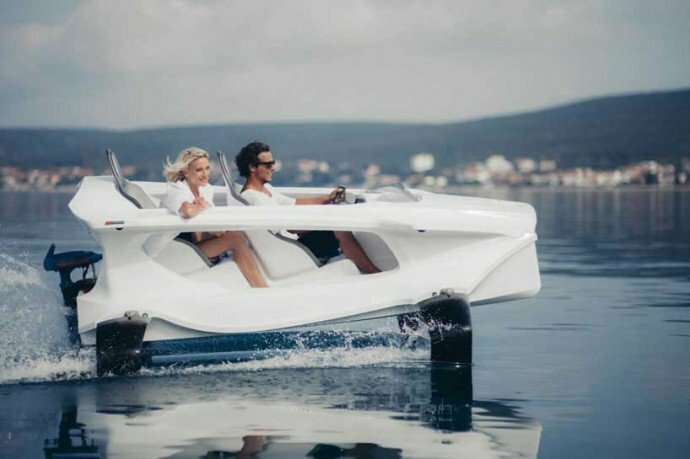 The company claims the quad-finned watercraft could in theory access more environmentally sensitive areas where noise and wave disturbances are prohibited. 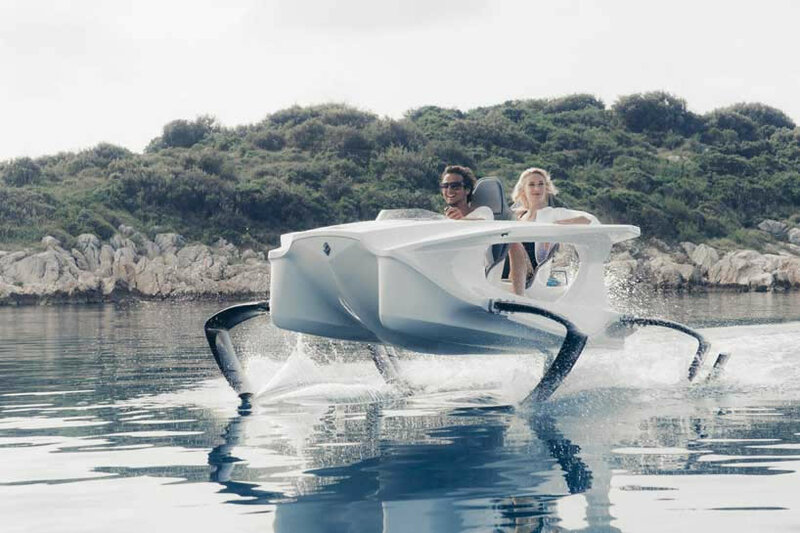 As of now, the Quadrofoil is available in two models and capable of carrying two adults. 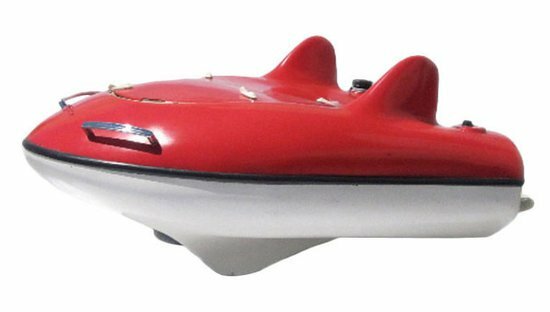 Without the foils attached to the body, the craft measures 1.5 m (5 ft) from side to side, while standing 1.2 m tall (4 ft) and taking up just 3 m (10 ft) in length. The limited edition Q2S has a 5.5 kW motor and longer lasting 10 kWh batteries. 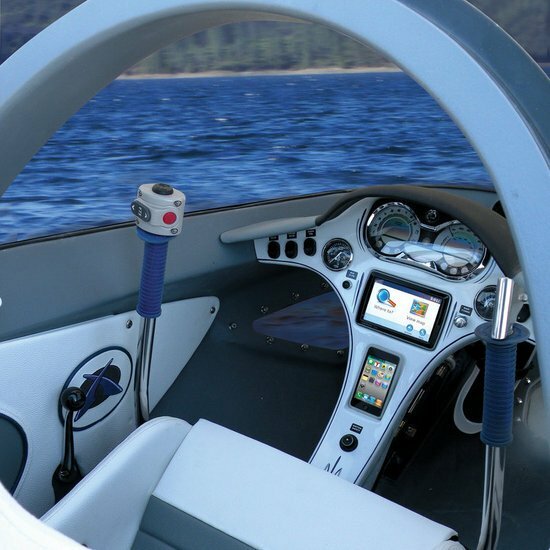 The craft has a claimed top speed of 40 km/h (21 knots) above the water. 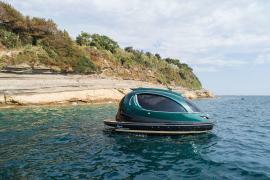 The cheaper Q2A gets its power from a QE 3.7 kW electric motor and 4.5 kWh batteries and tops out at 30 km/h (16 knots). 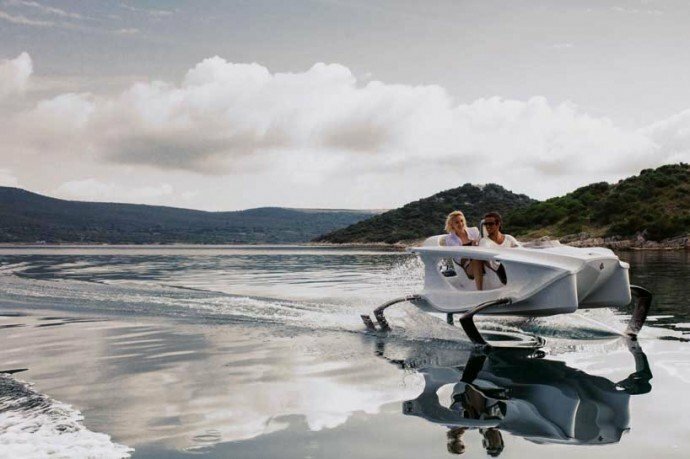 The Quadrofoil is lightweight as it is made of composite materials and weighs only 100 kg (220 lb). The limited edition Q2S is available for US$28,000 on pre-order now, with the Q2A version costing significantly less at $18,700. Deliveries will begin in March next year.